Game theory has proven to be a fruitful tool for academics and political strategists in analysing decision-making. 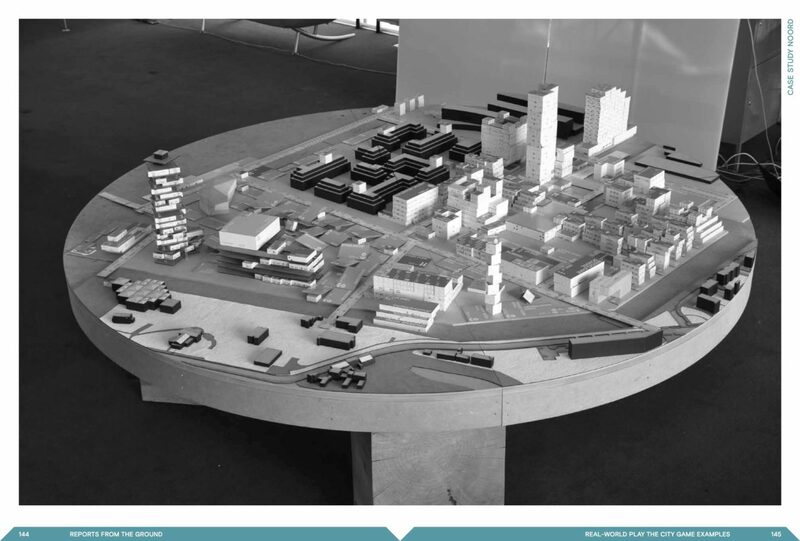 But what can game theory offer architecture and city planning? Can it become a serious tool for improving planning, participation and design strategies within the contemporary city? 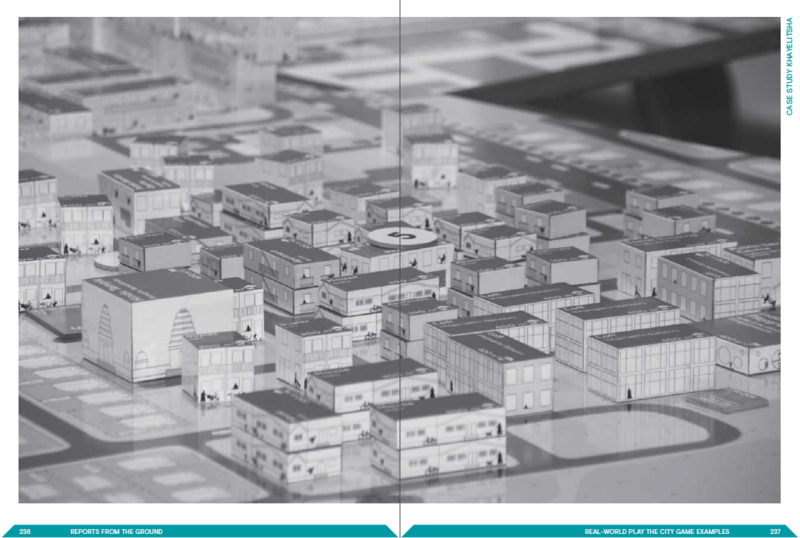 Play the City published its eponymous book to explain their use of games in tackling complex challenges in urban planning. 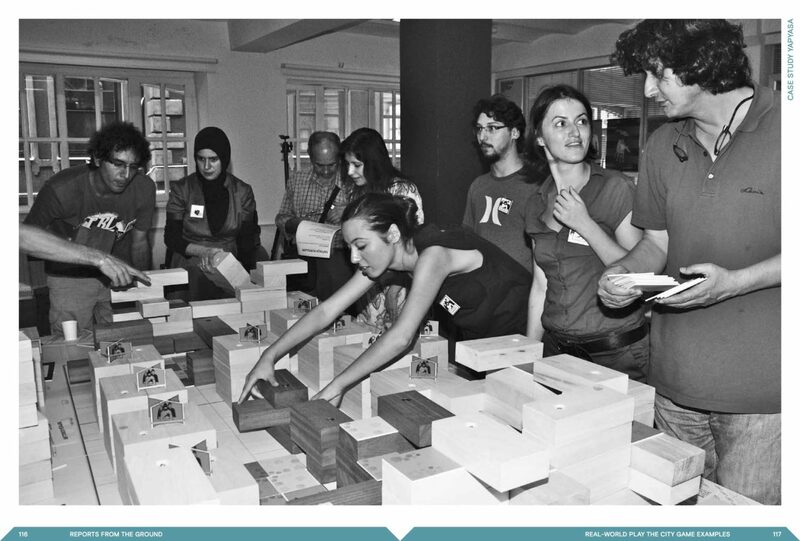 Play the City reflects today’s world and democratizes the design of cities. Paradoxically, its first project took place in Almere, a functionalist city designed in the 1970s according to a formal, top-down process. 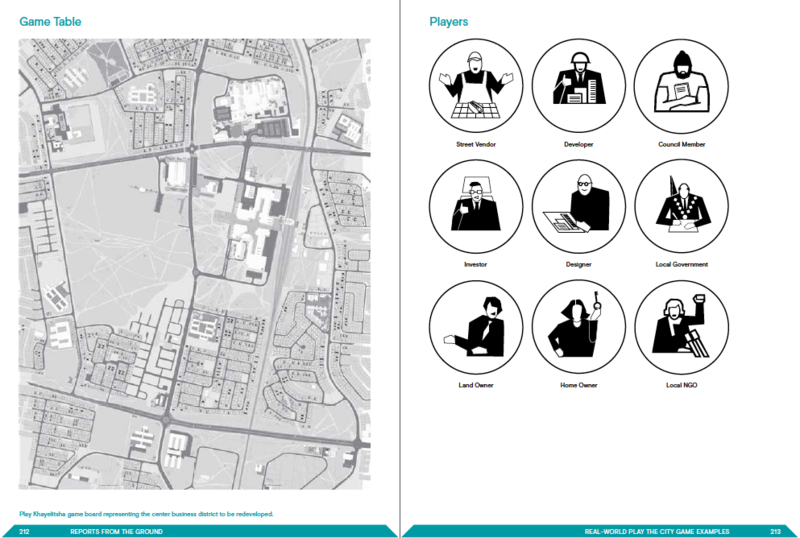 In 2009 a group of urban planning professors, Almere city sociologist Arnold Reijndorp and PhD researcher Ekim Tan conducted a series of experimental board game workshops. They invited inhabitants to collectively design public space and demonstrated how a holistic order could emerge through these initiatives. The traditional features of board games were retained: fake money was used to mimic real financial investments and action cards captured role of human resources, stakeholders and development operations. The board represented a 20-hectare site earmarked for housing. Each player (a householder in Almere) explored possible ways to develop the district with building blocks, shops, housing, public spaces, etc. The results of the Almere project were promising. Not only did participants design a new settlement, but they also spontaneously created a narrative about centrality, connections to nature, mixed use, urban agriculture, transport and so on. This first initiative prompted Tan, the book’s author, to set up the Play the City company together with designers Txell Blanco and Chrissy Gaglione, and researcher Sjors Martens in 2008. This systemic approach was heavily inspired by A Pattern Language, the book written by Christopher Alexander, an architect traditionally hated in his own field (and loved by computer scientists and system designers). Patterns are essential to urban planners and gamers. They are a ‘re-usable form of a solution to a design problem’ that allow planners and gamers to address multi-topic projects and drive efficient processes. A main challenge in the multidisciplinary process is about making all the actors join the debate. Play the City is thus primarily a tool for dialogue. 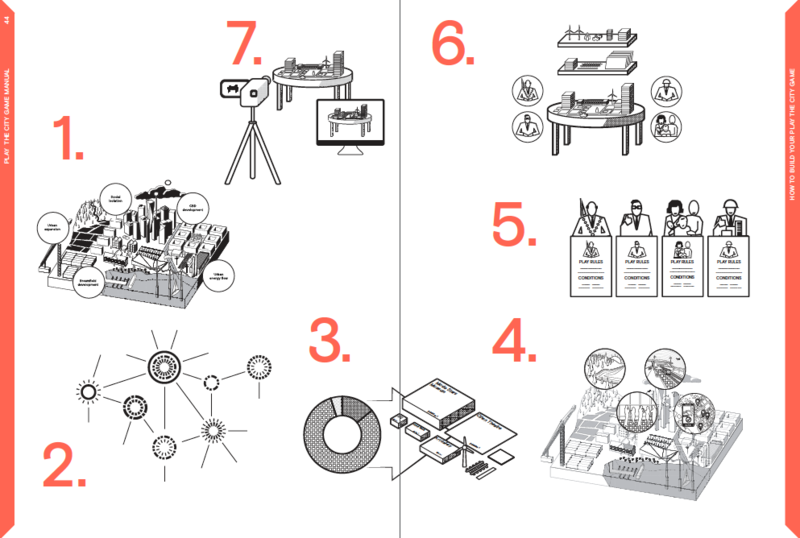 At a time when the polder model, the famous Dutch tradition of cooperation and consensus in public affairs, is considered by many to be in need of a revamp, gaming offers a new tool for designers and stakeholders. And the approach is not just a success within the Dutch culture of compromise and pragmatism. Play the City also worked on an earthquake-proof city with social coherence in Istanbul; it negotiated on the transformational design of an informal CBD in Khayelitsha, South Africa; and it engaged in an empathic discussion between migrant workers and professional city-makers on the development of Shenzhen, China. Through these projects, Play the City tested how gaming can break down the dichotomies between bottom up and top down, between formal and unformal, in seeking an organic participation process for city-making. Participation-phobia (a syndrome Tan observes among architects and planners in the 1980s) is disappearing, as public consultation increasingly becomes a prerequisite in urban projects. But a growing challenge for this communication revolution is the complex technical nature of new design issues. Energy landscapes, affordable housing and social change, circular economy and resilient cities: such projects require engineers and scientific knowledge. How can these complex challenges be considered in a process of participation? Play the City claims to act as a bridge between various expert fields and the public. ‘Building the interface requires integrating all of your stakeholders, data, resources, and rules and conditions into one game space.’ Data is simplified and made visual and accessible: social housing units become blocks, types or amounts of energy are depicted in objects or cards, and players interpret, manipulate and experience data through the game. A classical educational tool for a primary teacher is used here to explain disciplines and their specific jargons not only to stakeholders but also between expertise fields themselves. Among the games designed by Play the City, the Circular City Game, a strategy game for the future of the former industrial site of Buiksloterham (Amsterdam Noord), is a powerful example of how gaming helped housing associations, geothermal exploitation, water system maintenance group and many other stakeholders to find collaborative solutions. And of how the virtual reality of the game translates the complex technical realities of various experts and fields of engineering. During the public launch of the book Tan was asked the following question: ‘Do you aim to be neutral in the design of your game?’ You could also turn this question around and ask: How can the designer tailor the participation process towards the particularity of the design challenge? ‘The format of the game is dependent on the type of outcomes anticipated from it.’ In other words, the game is not designed for a neutral discussion but as a way to explain and then test the principles of a project with the stakeholders. It is a tool which embodies the values of the project, and seeks efficient communication to enrich its proposal. Maybe it could be a step towards a better understanding of the designer’s language. With the help of such new communication tools, the time is gone when participation could be considered a Trojan Horse that paralyzed designers and resulted in low-quality, middle of the road proposals. Play the City games create soft outcomes: more than building contracts or plans, their result is a process of empowerment, interaction and rising awareness between the many actors within a project. Their long-term influence on city-planning culture lies in the collaborative and hybrid strategy and practice of the company. Relating the company history, its projects, and interviews with urban gamers, the book Play the City is primarily a manual for future city game designers, explaining graphically in seven steps how the company thinks and builds its games in a completely open-source way. In collaboration with Pakhuis de Zwijger, workshops on city gaming for groups of professionals are also being organized from February to June 2018. Availeble at NAi Boekverkopers. Klik hier.